Grey Heron (Ardea cinerea). Taken at Otmoor, Oxon., on March 26th 2018. Taken at Otmoor, Oxon., on March 26th 2018. 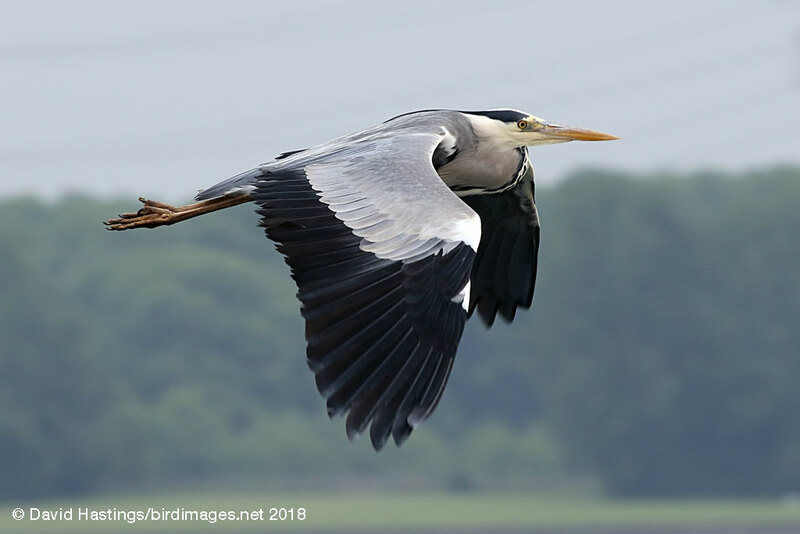 Grey Heron (Ardea cinerea). Taken at Farmoor, Oxon., on May 24th 2018. This is the largest European heron. It can stand with neck stretched out, looking for food, or hunch down with its neck bent over its chest. 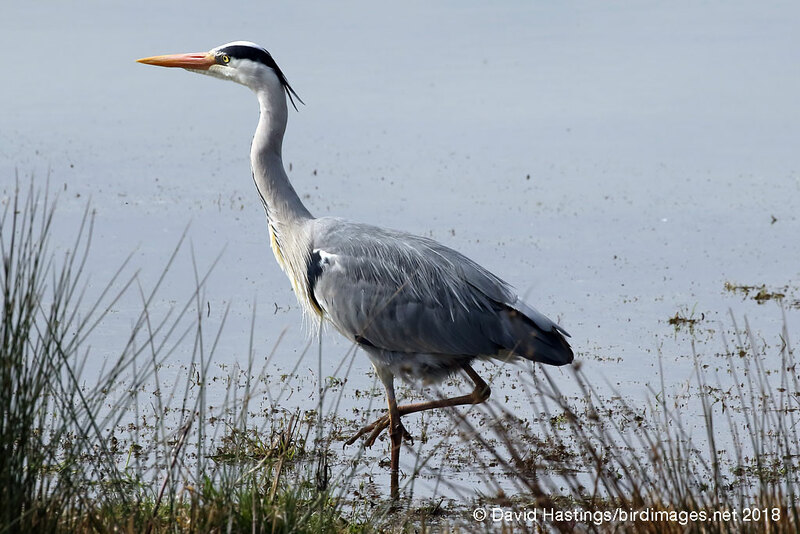 The Grey Heron is widely distributed in the British Isles and western Europe. It can be found on river banks, lake shores and brackish coastal bays. Nests are built in trees. Herons are usually solitary. They stalk their prey (small fish, small birds and amphibians), often standing motionless for some time. They usually feed close to the bank or shore, but may wade out into shallow water. It has green status on the UK list. Approximately 14000 pairs breed, and around 61000 birds over-winter here.